It’s not some Confederate shop in a corner of the Old South – it’s an eBay storefront run out of a New Jersey hamlet just 100 miles south of New York City. In the wake of last week’s controversy over blackface figurines at the luxury brand Prada’s Manhattan shop, the I-Team has been looking into where else you can readily get such offensive merchandise online. Turns out it’s not hard to find. “Surfsidejack1” has been an eBay member for almost 18 years, and his customers like him – he’s got a high feedback score, almost 98% of which is positive, and he’s considered a “Top Rated” seller, which means he does more than 100 transactions a year. 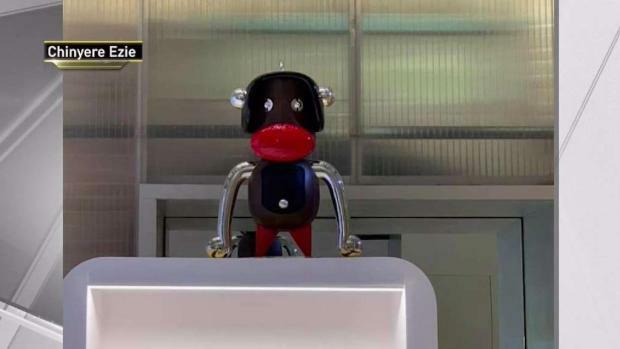 Luxury fashion company Prada has pulled a set of monkey trinkets from its lower Manhattan store amid outcry that the items depict blackface. Andrew Siff reports. As of Monday morning, he had 125 active listings on the auction site, most of which were for blackface statues. One such piece shows a boy with exaggerated lips and teeth eating a slice of watermelon – a classic racist trope – with a description that reads “ORIGINAL COLOR TRUMP FAV. HOT TOPIC ART”. And it’s not as though “Surfsidejack1” is just offering these things with no buyers. Just this month, he’s sold 20 of them, according to eBay listing data, for nearly $700 in total. The seller, who used the klanman1kkk email address, did not respond to the I-Team's emails for comment. But he's not alone. A superficial scan of the same product category on eBay turned up a magnet that prominently features the n-word, and another magnet with a black man eating a watermelon and a shooting target over his mouth. The auction site took swift action when contacted by News 4 about these listings, removing them and suspending "Surfsidejack1" within two hours of being contacted. "eBay has long-standing policies in place which prohibit items that promote or glorify hatred, violence and racial intolerance. Several of the items listed by this this seller clearly violate our policies, and we have taken immediate action to suspend the seller and have these listings removed," the company said in a statement. 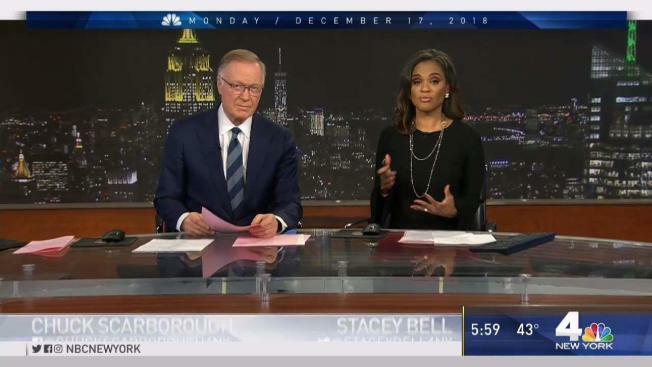 The I-Team traveled to a West Creek, New Jersey home, which is adorned with Confederate flags and blackface statues matching many of the eBay items. "Surfsidejack1" had identified that particular hamlet as his general location. 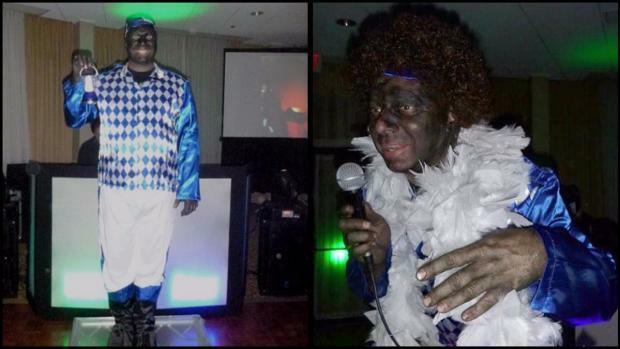 The Metro-North supervisor at the center of a "blackface" controversy revealed in an exclusive I-Team investigation earlier this week has been pulled from service "indefinitely" pending an internal investigation, the I-Team has learned. Andrew Siff reports. A man spotted at that house getting into a truck packed with packages denied being Jack and didn’t want to discuss the statues or eBay. ”They’re not for sale," he said. Asked about the eBay statues, he said "I got nothing to do with that." Dr. Nicole Fleetwood, an American studies professor at Rutgers and author of books on racist imagery, said the listings and others like them were "hate images" and nothing more. "And they’re images that really are about white racism, white fantasies of others. They’re not at all anyhow representative of people of color, black people, or other groups of people," she told News 4. Those caveats are little comfort to noted civil rights lawyer Chinyere Ezie, who raised the red flag last week about the Prada merchandise. "If you’re deciding to sell these things and profit off of racist memorabilia, you’re not just indulging, you’re enabling hate speech and you’re abdicating your responsibility," Ezie told the I-Team.